You will be driving through the village streets, fields, fish ponds and lakes were surrounded by mountains. Meet the locals and learn about their lives. Visit some temples located on the mountain, explore local beliefs. In particular: the scenic routes in the Red river delta. Group size: Maximum 6 motorcycles, 6 – 10 people (6 riders & pillions). 8:00 Tour guide pick up you in your hotel. 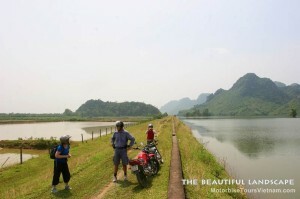 if you do not know how to drive motorbikes in Vietnam, we will spend 30 minutes to guide you. 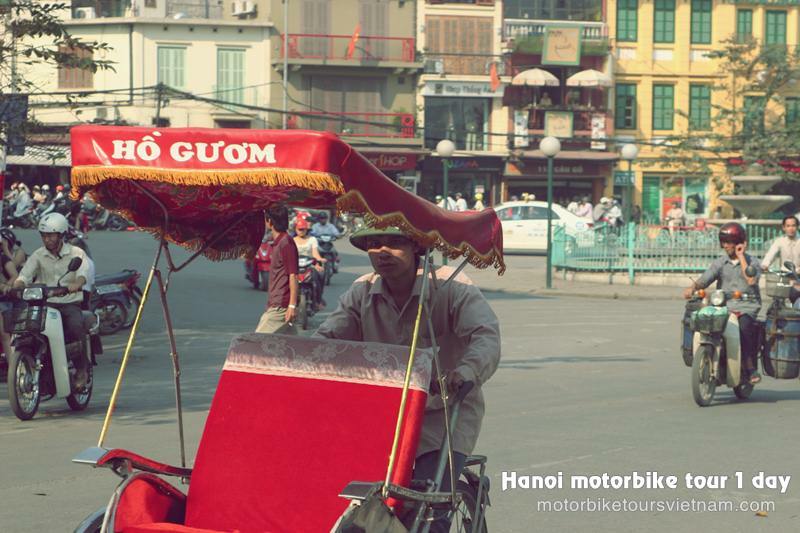 8:30: the group will go through the crazy streets of Hanoi. Leave the noise of the city. 9:30 you will lose in the vast rice fields, and run along the canal, watching the flamingo flocks and people working in the field. You will be hard to know their working. 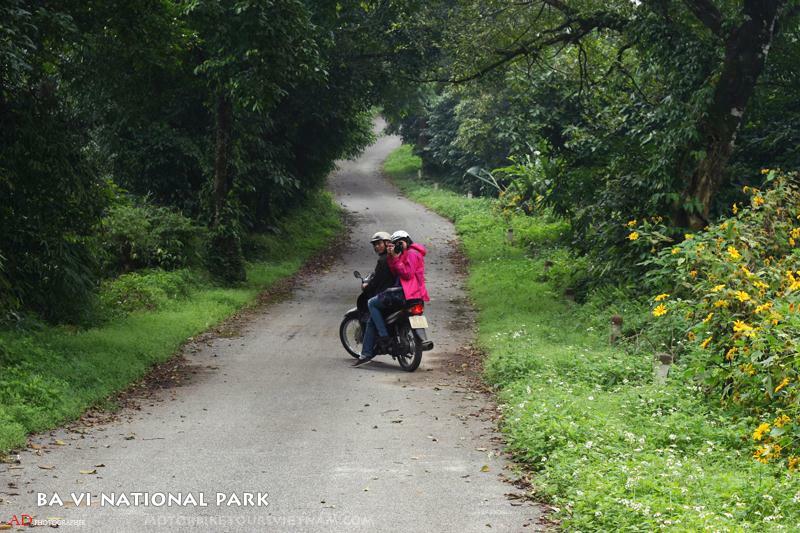 But, in actual trips like this, the motorbike tour guide will tell you and describe you understand. 11:00 you arrive a farmer’s house. And exploring their life, see some animal in garden. If you want we can arrange fishing for you. 12:00 Lunch at local restaurant, where villagers used to come for breakfast, or lunch. 15:00 take a moment to make a small boat trip, watching mountain scenery. Walk to an ancient temple located on the mountain. 16:00 drive back to Hanoi. 6pm you was stay in hotel.